The indoor air might be full of harmful germs that make it hard to breath. First of all, a clean air duct prevents illness. When pollutants contaminate your indoor air, you may start itching and coughing. If you suffer from asthma or certain types of allergies, you may find yourself falling ill. A regular air filter cleaning ensures that dust, mold and dirt are completely removed from your air ducts. What is more, you will manage to protect your family members and you will sleep well instead of waking up coughing. 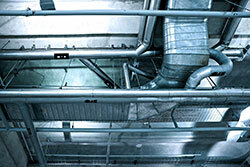 Secondly, a frequent air duct cleaning protects the heating and cooling system. In that event, you will avoid spending a lot of money on your HVAC unit repair. Specialists at Air Duct Cleaning Tustin recommend some maintenance activities from time to time. Hence, your air duct system will keep working properly all year round and you will manage to protect your initial investment. Air duct cleaning also leads to energy efficiency of your home. It is well-known that a dirty HVAC system will use more and more energy in order to meet successfully your needs and requirements. Needless to say, your energy bills will face a significant increase. If you take all those negative aspects into consideration, you will find out that air duct cleaning is quite cheap. All you have to do is add this problem on your to-do-list and you will manage to save a lot of money.